Regeneration system not working correctly? Would you answer YES to any of the questions above? Dpf filter ? Before we go into why Diesel Particulate Filter block what they do and how they are controlled it’s essential to understand the difference between soot and ash and what regeneration really means and how it works. Regeneration is better thought of as a secondary burn process so what is it exactly ? Regeneration is the process programmed into your vehicles ECU by the manufacturer as its method of removing the accumulated soot from the Diesel Particulate Filter that builds up from normal driving. Two methods are available to your vehicle from its programming, either passively (from the engine’s exhaust heat in normal operation or by adding a catalyst to the filter) or actively introducing very high heat into the exhaust system. Typically the ECU monitors one or more sensors that measure back pressure and/or temperature from the dpf, and based on pre-programmed set points the computer makes decisions on when to activate the regeneration cycle or not as the case may be ! Assuming the exhaust temperatures hit a pre-determined high point the regeneration will start….you can sometimes hear a different engine note or a funny smell. Normally when the exhaust valves open on the combustion chamber to let the burnt gases escape down the exhaust, the injectors don’t fire…as you can imagine you would be just wasting fuel…well this is exactly what’s done…the injectors fire allowing fuel to go down the exhaust and heat up the top half of the dpf with the intention of burning that dreaded soot into ash. A down side of this process is that when the exhaust valves open the piston is well down the bore and fuel runs down the bore past the rings and into the sump and your engine oil…your cars life blood ! Not great for your bearing surfaces and turbos in particular…ask any Mazda owner about their high oil levels !! The soot built up in the dpf burns when temperatures above 600 degrees Celsius are attained. This temperature can be reduced to somewhere in the range of 350 to 450 degrees Celsius by use of a fuel borne catalyst. And here lies the problem….trying to attain these temperatures is extremely difficult. You would be amazed sitting in the passenger seat of a vehicle with a blocked dpf looking at the live data from the dpf temp sensors you really would. Ok so why is my DPF blocked? Driving Style can cause issues – stop start journeys that prevent the exhaust temperature to reach the level required for passive regeneration. Component Failure – failure of a sensor, pressure differential sensor or air mass meter and others can prevent the regeneration process from starting or is interrupted before completion. EGR Valves – a failed, sticking or slow responding EGR valve means there will be less air within the cylinder basically a boost leak causing soot deposits to increase. Faulty Fuel Injectors – injectors that are worn or damaged will cause poor atomisation of the fuel leading and very poor combustion, excessive black smoke and more particulate matter. Oil Consumption – A worn engine or faulty turbo will increase oil being burnt in the combustion chamber causing excessive blue or white smoke and increased particulate matter. Oil deposits block the porous walls of the Diesel Particulate Filter increasing the need for regeneration. 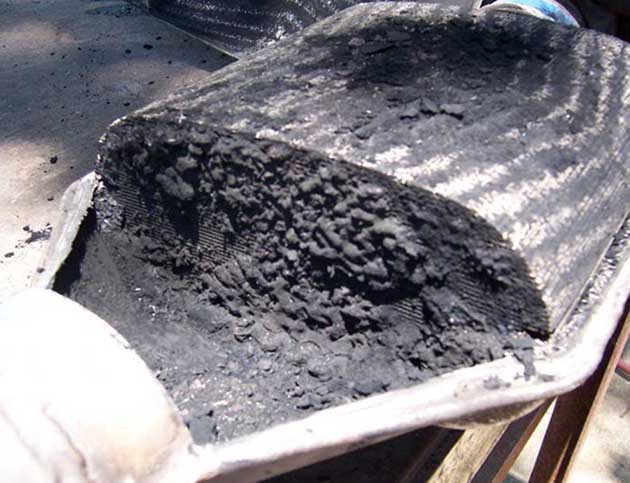 Oil Type – high ash content oil causes silica particles to block the Diesel Particulate Filter and silica cannot be burned out by regeneration. ECU Failure – if the electronic control unit that receives the information from the sensors is not working correctly the regeneration process may not be initiated. 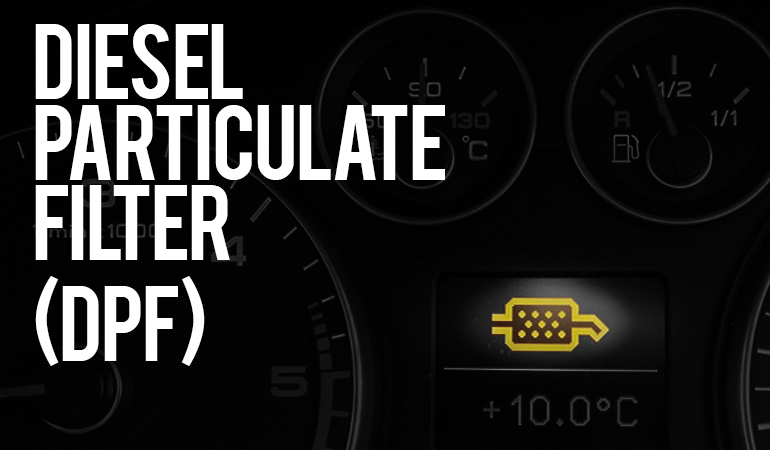 If a DPF becomes blocked it is almost always caused by a fault upstream of the DPF. At best these systems are temperamental and very difficult to maintain. Its imperative that the fault that caused your DPF to block is rectified at the same time as fitting having your dpf cleaned or replacement DPF fitted or it will also become blocked very quickly and yet more problems and particular turbo failure! 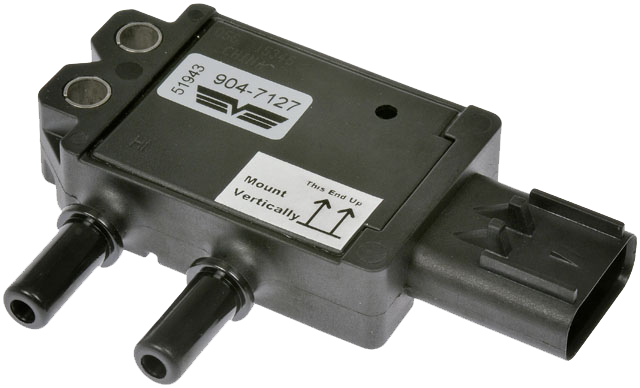 A differential pressure sensor is an electronic sensor that measures back pressure before and after the DPF and determines the level of soot contained within the dpf. What happens if it the pressure differential sensor goes wrong? If the Differential Pressure Sensor stops working or becomes faulty it cannot send accurate information to the ECU about the level of soot accumulated within the DPF. Without this information the ECU cannot start the regeneration process to burn off the soot and empty the Diesel Particulate Filter causing it to become blocked. 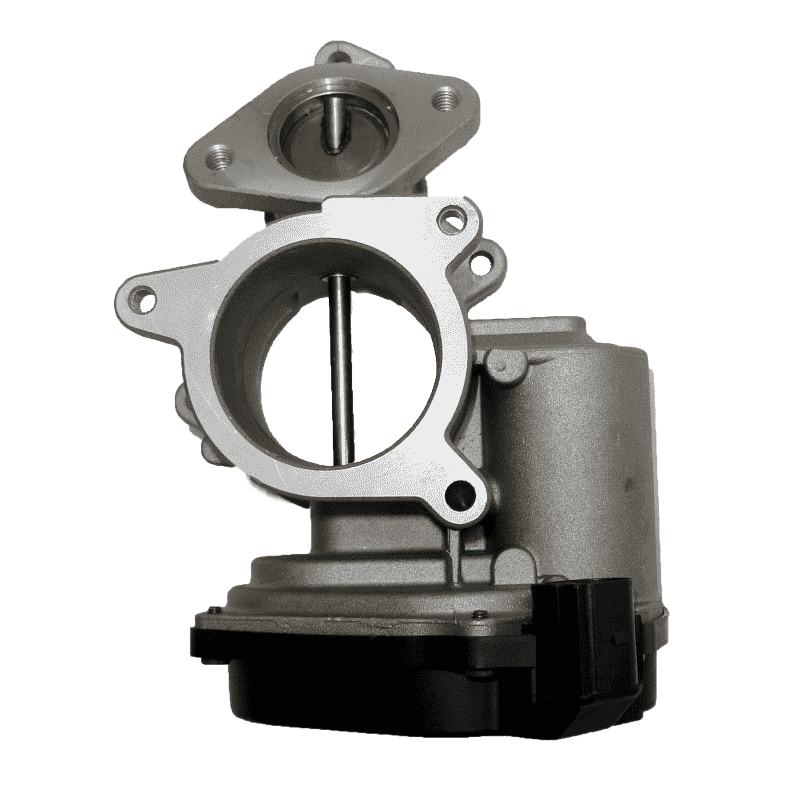 The Exhaust Gas Recirculation valve is a component that helps the engine to burn fuel more efficiently and reduces NOX emissions by recalculating a portion of the exhaust gases back into the intake manifold and through the combustion process. What happens if the EGR fails or becomes faulty/contaminated? A failed, blocked or jammed/sticking EGR valve will cause the engine to run poorly, smoke excessively and can potentially lead to turbo or engine failure. The excessive smoke caused by an EGR valve being jammed open is basically a massive boost leak. As the engine received less air than it measures at the air mass meter you end up with a very rich mixture due to unburnt fuel entering the exhaust and it is this unburnt fuel that goes on to block the Diesel Particulate Filter . What is an Exhaust Gas Temperature Sensor? An Exhaust Gas Temperature Sensor is an electronic probe that measures the temperature in the exhaust usually before and after the DPF to determine when the correct temperature has been reached allowing the regeneration process to start – remember what I said about heat? What happens if it the EGT sensor fails or goes wrong? If the Exhaust Gas Temperature Sensor stops working the ECU is blind to what’s happening in the exhaust and therefore cannot start the regeneration process to burn off the soot accumulated in the dpf and will then cause the dpf to become terminally blocked. Why do you need your DPF Cleaning? A Diesel Particulate filter is designed to reduce the soot emissions from your exhaust by up to 80%, The Diesel Particulate Filter was introduced following the “Euro 5” standards being enforced and your Diesel Particulate Filter is required to be in good order for your MOT. The reason you get DPF blockages in many cases is because you may be travelling short distances and a DPF essentially self cleans itself (this is called regeneration) the soot will be burnt off the filter at a high temperature this usually happens when your vehicle is travelling at a moderate to high rpm. Unblocking your DPF using our Hydroflow decarbonisation cleaning service will save you a significant amount of money as opposed to buying a brand new filter, this also means you will not have to continue with expensive repairs or buy any new filters – here are a couple of examples and don’t forget this is assuming all the sensors come out because most don’t!! Cost to replace the Diesel Particulate Filter on a Toyota Hilux could cost you somewhere in the region of £2455! Prices may vary from vehicle to vehicle and this is only a guide price. 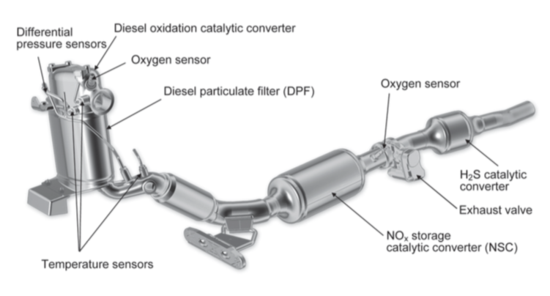 Do you have to remove the DPF from my vehicle? No we don’t have to remove your dpf or in fact anything from your vehicle to complete a deep clean Hydroflow DETOX of your Diesel Particulate Filter . And do forget that this treatment not only cleans your dpf but the whole combustion chamber, that’s valves, pistons, exhaust manifold, cat, dpf and sensors. We can guarantee to recover a blocked dpf back into its normal regeneration range provided all the vehicles sensors are working correctly. The treatment itself takes an hour; however each vehicles issues vary, with some requiring a pre clean diagnosis, or oil and filter change when excessive regeneration attempts have been attempted, and some vehicles requires an extended regeneration drive to re-set normal counters.Our aim is to decarbonise your Diesel Particulate Filter, as we understand that you need your vehicle for day to day life and work and so we aim to have a fast turnaround usually whilst you wait. Can I wait while you clean my Diesel Particulate Filter ?